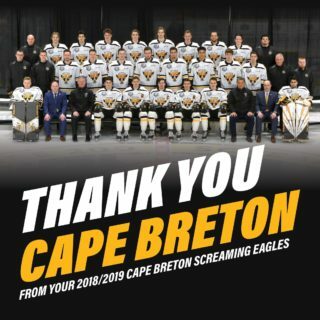 The Cape Breton Screaming Eagles have relieved General Manager and Head Coach Marc Andre Dumont as well as Assistant Coach Brent Hughes of their duties with the hockey club effective immediately. “Decisions like this are always difficult but we feel it is the right move for the team moving forward and the direction we want to take. I want to thank Marc and Brent for all of their hard work and commitment to the organization” said team President Gerard Shaw. 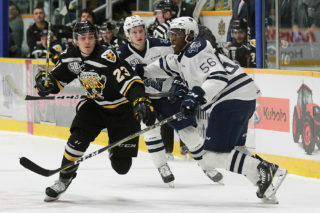 Dumont has spent the past seven seasons with the Screaming Eagles in the capacity of General Manager and Head Coach, while Brent Hughes has been in his role for three seasons. 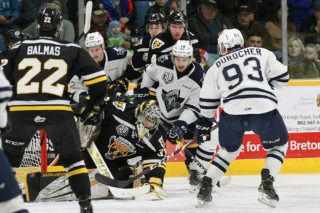 Dumont coached the team to a 40-22-1-5 regular season record and a seventh-place finish in the overall QMJHL standings. 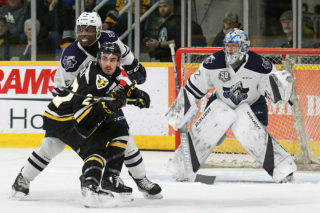 The Eagles were defeated in five games by the Rimouski Oceanic in the second round of the playoffs following an opening round victory over the Charlottetown Islanders in six games. The Screaming Eagles will be immediately forming a search committee and begin the process of hiring a new GM and Coach.